What can we do with the editors? 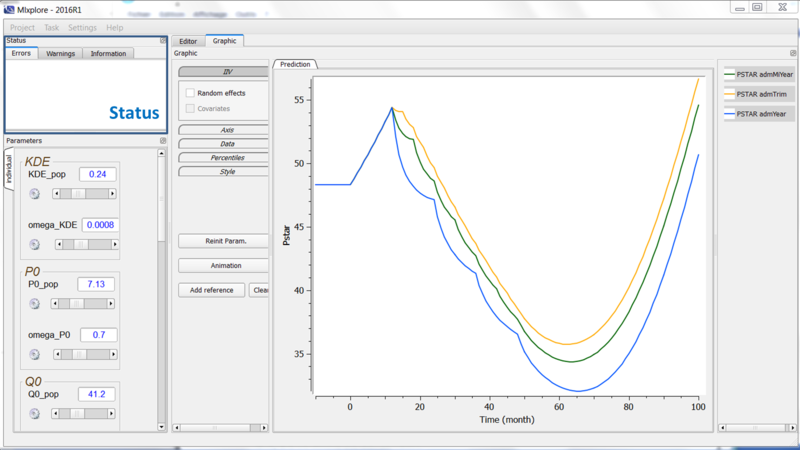 While modifications of the parameter values are done directly via the sliders in the interface, modifications of other project or model characteristics, such as the dose administration schedule for instance, are done via the editors. 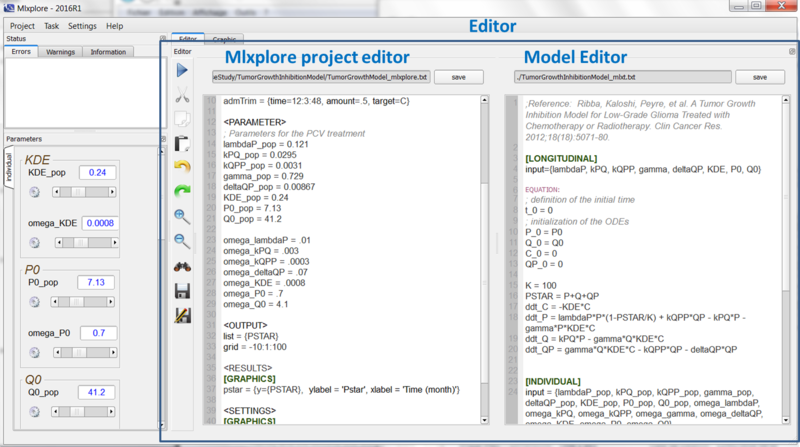 In the presented case, one uses two editors, one on the left that edits the Mlxplore project, and one on the right that describes the model. To run the model, the user just has to click on the arrow on the left.